AIA Shared Services Sdn. Bhd. (AIASS) was established in May 2009 and is a captive shared services organization providing off-shore and outsourcing services for the AIA group. AIASS strives to be the best in class Shared Services provider for insurance operations with the objective of maintaining long term commitments for investment and provision of employment in Malaysia. Since our establishment, we have successfully cultivated a dynamic, fast-paced employee-centric culture. We believe people are the key drivers to our success today and in the future. 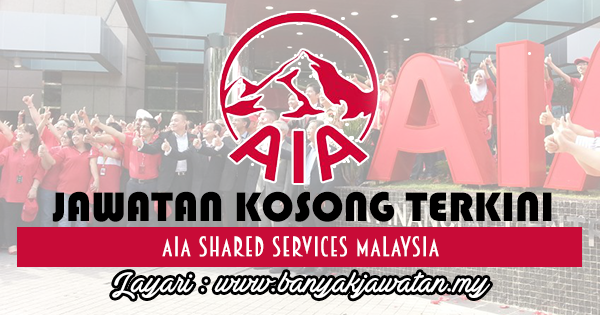 0 Response to "Jawatan Kosong di AIA Shared Services Malaysia - 11 April 2018"